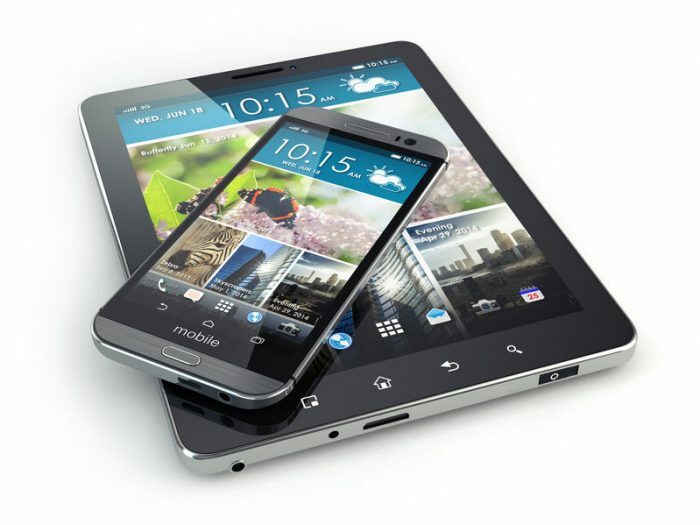 Tablets and smartphones are changing how and where we work. 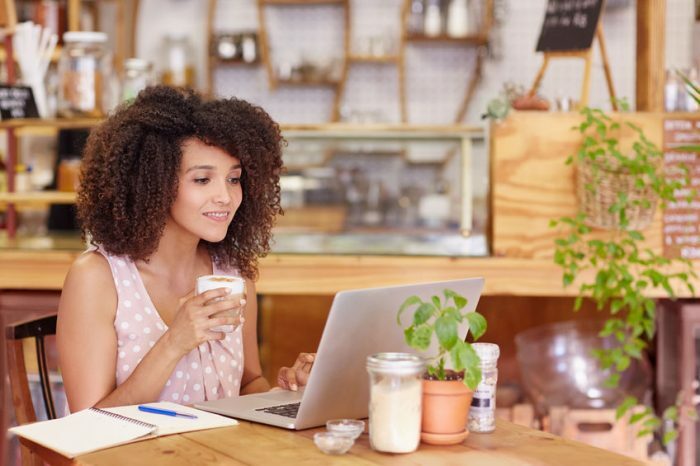 Here are some tips to keep you healthy and productive when you’re working remotely. That means remote locations like coffee shops, hotel rooms, trains, and planes, and even the couch or dining room table at home, are the new “offices” of the present and future. And even those working in a conventional office (or shared workspace) are making use of laptops and tablets more and more; either as their primary computing device or as a supplemental device. In 2015, Qlik Research found that 85% of US respondents surveyed are using multiple devices in the office. Because of these trends and the nature of these compact, mobile devices, we need to change the way we think and talk about ergonomics to reduce the rate of repetitive strain injuries. 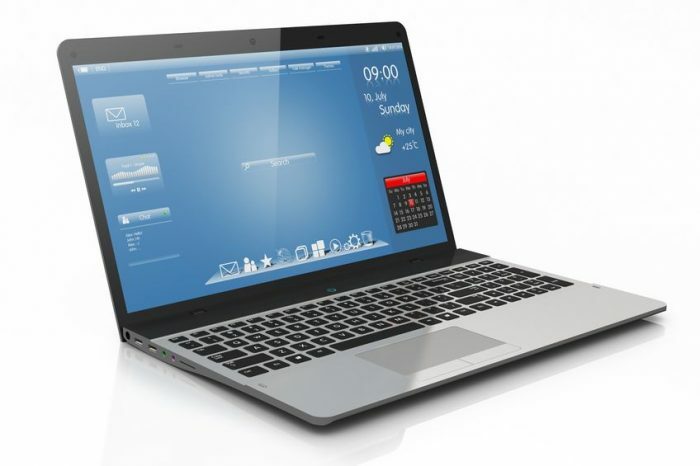 Modern laptops are incredibly powerful tools with tons of computing power, thin screens with incredible resolution, blazing fast wireless connectivity, and batteries that can last all day. The best part about a laptop is that you get a screen that is integrated with a compact keyboard for incredible portability. Manufacturers strive to make their devices smaller and thinner but the trade-off for enhanced portability is a total lack of ergonomic design considerations. If you read our Workstation Configuration Tips, you know that to reduce eyestrain and neck pain, we always recommend adjusting the height and position of your monitor. Adjusting your monitor is easy enough to do with a desktop computer, but with a laptop, you can’t adjust the monitor without also moving the keyboard since they are physically integrated. If you put the screen at eye-level good luck getting the keyboard in the proper typing position, and vice versa. Smartphones and tablets are even worse since the integrated keyboard isn’t even a physical one, it’s a virtual keyboard on the touchscreen. These virtual keyboards are super convenient, but they tax our bodies and were never designed for extended use. We’re not here to tell you to stop using portable devices or working remotely. That’s silly. But we are here to tell you that if you plan to use your laptop, tablet or smartphone for extended periods of time, we recommend investing in an adjustable laptop stand, as well as an external ergonomic keyboard and mouse (or other pointing device). An adjustable laptop stand, allows you to position the screen of your laptop at the optimal height for viewing, no matter what work surface you’re using. 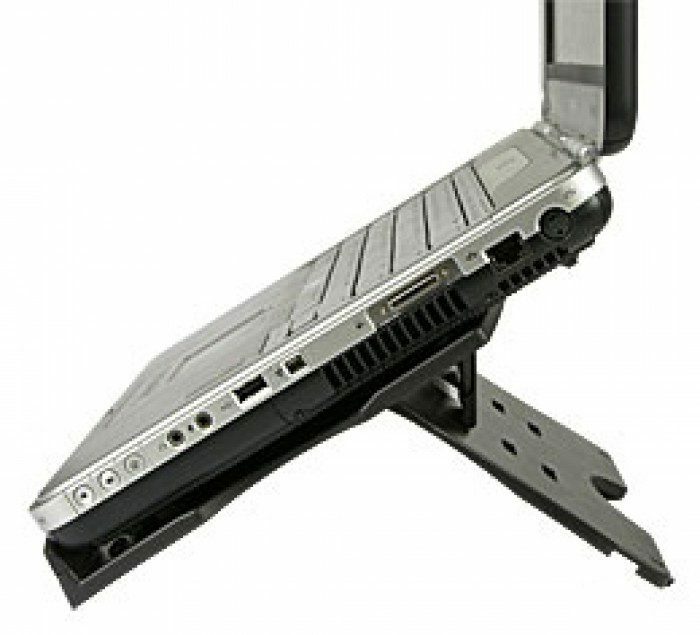 A great laptop stand is lightweight and can fold flat to easily fit in your laptop bag. Even if you decide not to use an adjustable laptop stand, we highly recommend using an external ergonomic keyboard rather than the integrated laptop keyboard. Laptop keyboards are inherently compact which makes them difficult to type on, and as we discussed in our Mechanical Keyboard Guide, they typically use “short-travel” scissor-switches, which are uncomfortable and encourage bottoming out which unnecessarily taxes your fingers and hands. A low-profile external keyboard can fit in your laptop bag and will pay dividends when working remotely because you’ll be more comfortable and more productive. When working remotely, the best choice is a wireless ergonomic keyboard. A wireless keyboard gives you maximum convenience and portability and doesn’t have to mean sacrificing ergonomic design. Going with a wireless ergonomic keyboard also means you aren’t using up valuable USB ports on your laptop. Most laptops come equipped with a touchpad for navigation. Touchpads are very convenient but they require you to contort your thumbs if you’re using the laptop’s integrated keyboard. And if you decide to use a laptop stand or just a wireless ergonomic keyboard, the touchpad is totally worthless. If you do decide to invest in an ergonomic mouse, go with a wireless version for maximum convenience and portability. In an office environment the benefits of moving from a wired USB keyboard or mouse to a wireless one are relatively small. Wired devices are always connected and never run out of power, and since your desktop computer isn’t moving around, keeping them plugged in isn’t really a problem. But when you’re working from a remote location, all those extra wires clutter your work surface and get tangled in your bag. 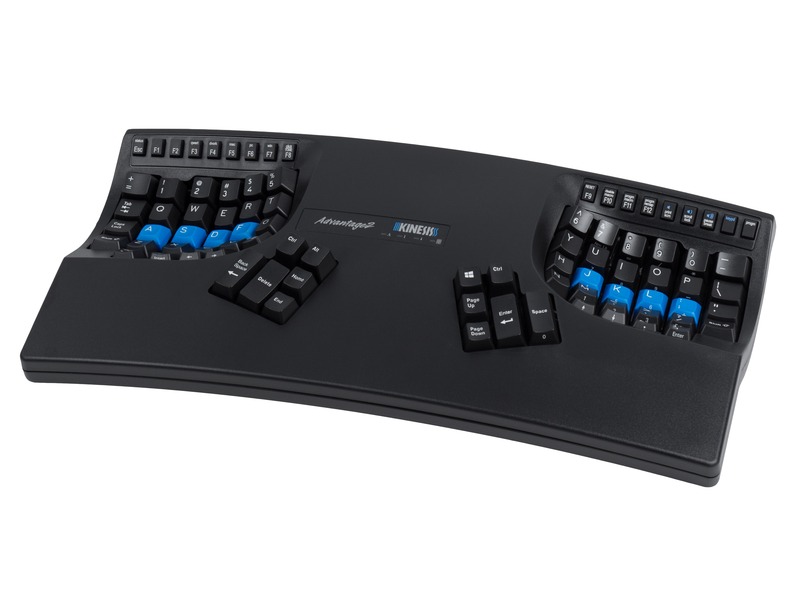 For this reason, Kinesis recommends using a wireless ergonomic keyboard and mouse when working on the go. 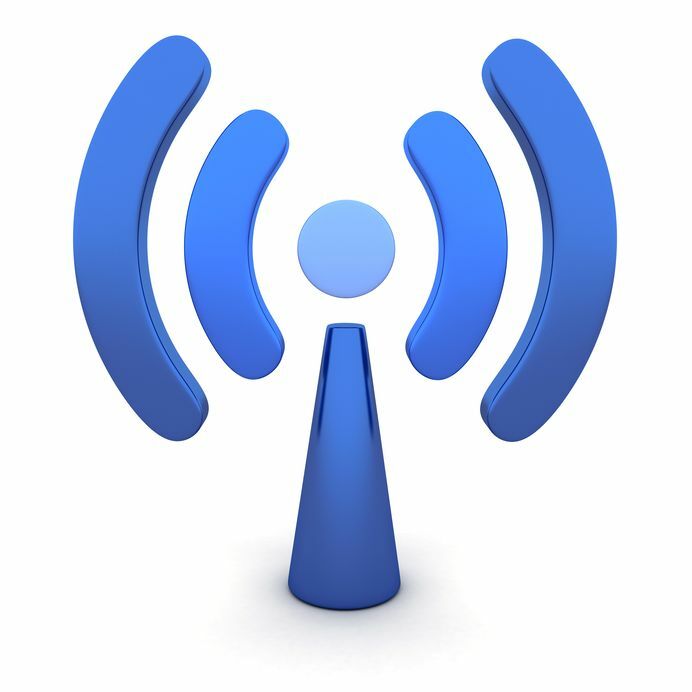 There are two primary types of wireless devices and they have important differences. RF wireless devices use a dedicated “dongle” that plugs into your computer. The RF device talks directly to that specific dongle which makes pairing easy and its compatibility is usually good because the device can be paired with any computer that has an available port for the dongle (typically a USB port). The downside to RF devices is that you have to keep track of the dongle and, if you were to lose it, the device is rendered useless until you purchase a replacement. The alternative to RF Wireless is Bluetooth. 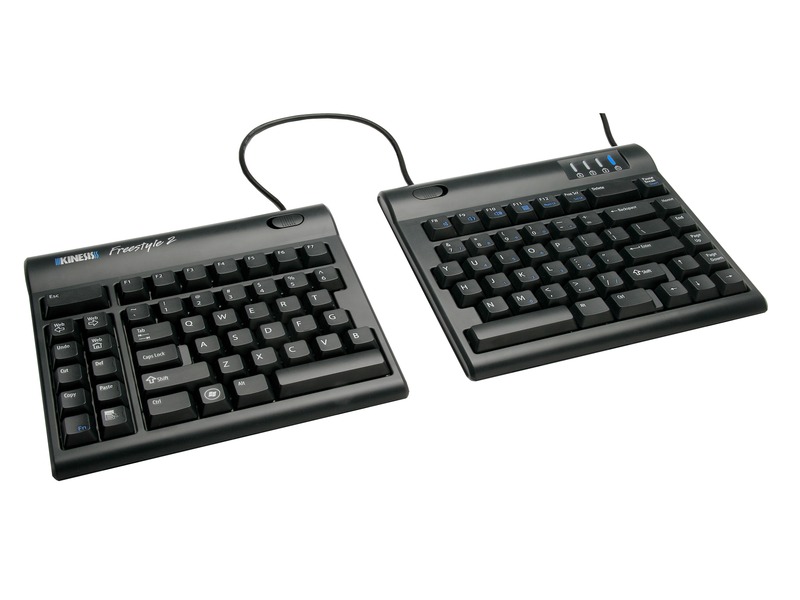 With a Bluetooth wireless ergonomic keyboard or mouse, you can connect it directly to any Bluetooth enabled computer without a special dongle. Mac users, in particular, will want to opt for a Bluetooth model when shopping for an ergonomic keyboard since Apple is transitioning away from extra USB ports on their laptops and envisions a world where computer peripherals are all wirelessly connected. Unfortunately, unlike Apple, many PC manufacturers still do not make Bluetooth a standard feature on their desktops and laptops. And in our experience, even PC’s that are Bluetooth-enabled don’t always reliably pair (and stay paired) to an external keyboard or mouse. If your PC does not have built-in Bluetooth capabilities, but your preferred ergonomic keyboard or mouse is Bluetooth-only, fear not. You can buy a Bluetooth adapter/dongle which plugs into your PC. When choosing a wireless ergonomic keyboard or mouse, it’s important to research battery requirements and specifications. 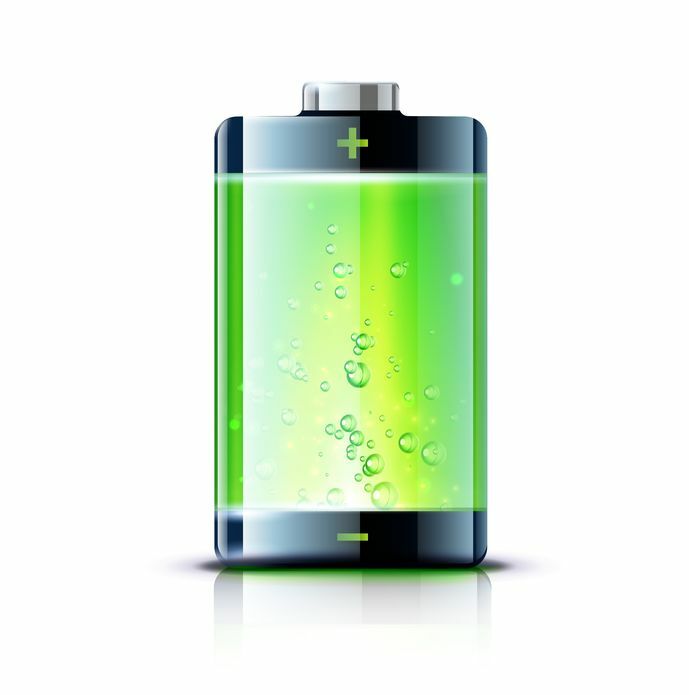 Some products use a standard, store-bought battery that can be replaced when it dies. Other products use a rechargeable battery. The charging cable is also a critical consideration. Ideally, you could keep one cable in your bag that can charge all your mobile devices. Bluetooth is an extremely low power wireless communication protocol so you need not worry about having your keyboard or mouse die after several hours of use. 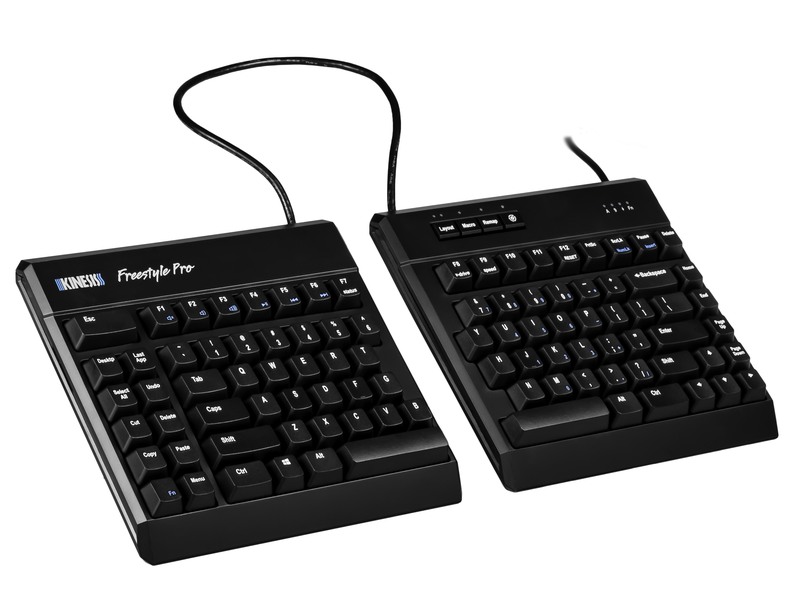 For example, The Kinesis Freestyle2 Blue, our best selling wireless ergonomic keyboard has a battery rated for 300 hours of actual typing. Since the keyboard only draws power when a key is pressed, that 300 hours from a single charge can be spread over 4-6 months, meaning charging is a very infrequent occurrence. If you’re like most people working remotely, you have a laptop, a smartphone, and maybe even a tablet with you at all times. 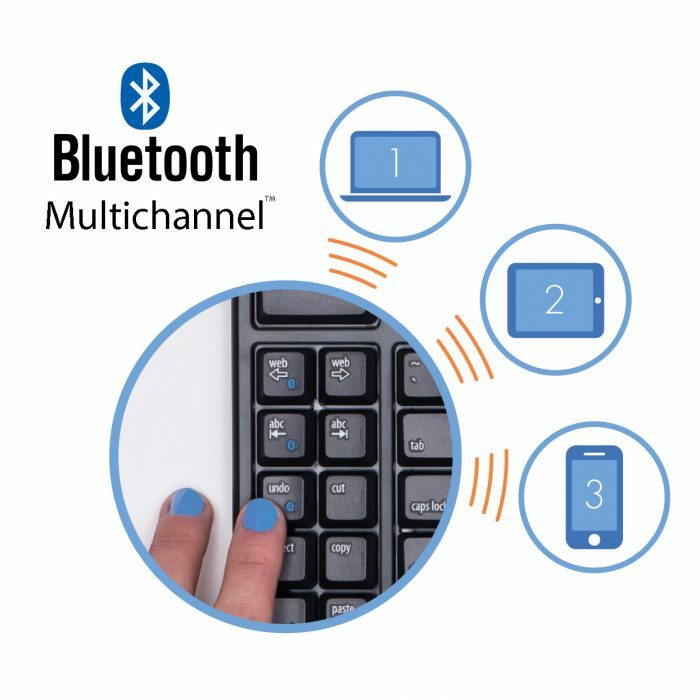 Thanks to multichannel Bluetooth technology it is now possible to pair a wireless ergonomic keyboard or mouse with multiple devices at once, and instantly switch between them. You may have three screens on your desk, but you don’t need three different keyboards. 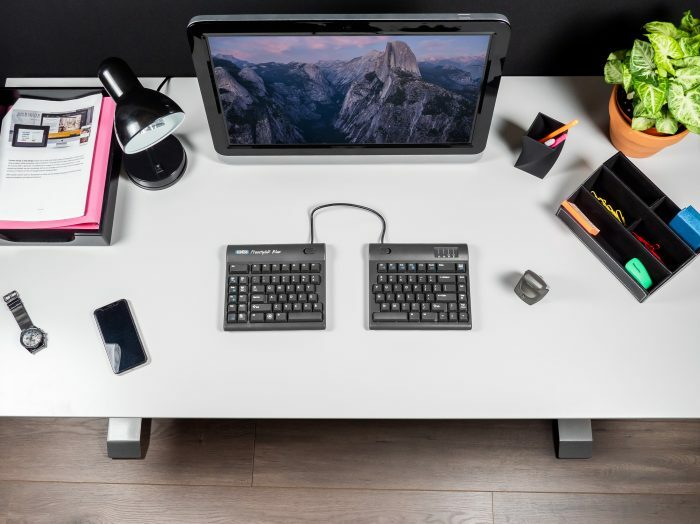 For example, with the Kinesis Freestyle2 Blue wireless ergonomic keyboard, you can pair the keyboard with up to three Bluetooth enabled devices. So you can be typing on the Freestyle2 Blue on your laptop, and then tap a button on the keyboard to switch over to your smartphone to reply to a text message.